This is a running demo of the AppSensor-Tutorial code that is free and open. 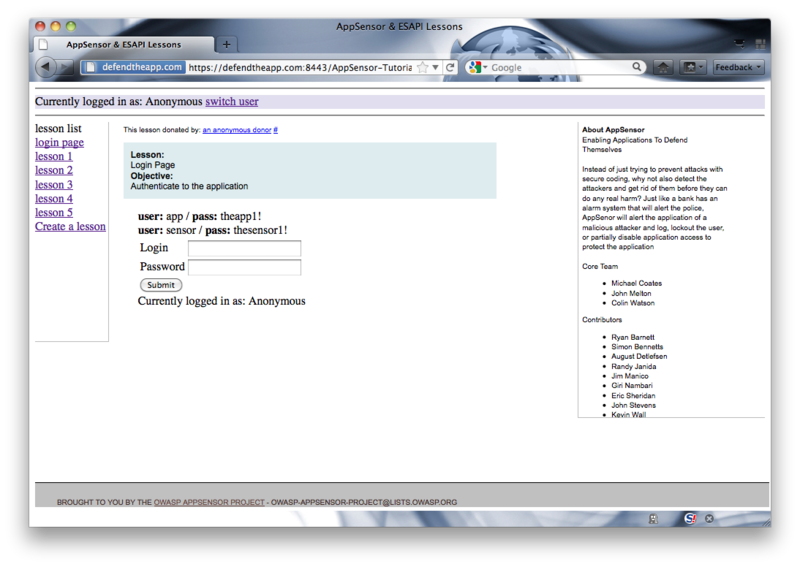 It is a part of the OWASP AppSensor project and fully leverages ESAPI code behind the scenes. 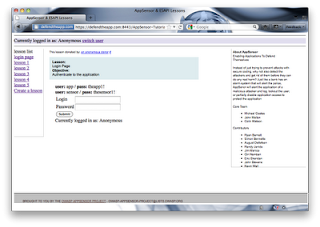 There is also another demo of a social network site using AppSensor technology. You can see a video of this site in action here and download the source code here. We are always looking for more contributors to the AppSensor project. Please join our mailing list and share your ideas.